With fall sports in full swing, parents across the country find themselves dealing with muddy floors from soccer, field hockey and football cleats. At Best Way Carpet and Tile Cleaning, we are proud to offer not only the tile and grout cleaning services in NJ you need to clean up, but also the tips and tricks to maintain the look throughout the season. Homeowners searching for a more proactive fix will want to consider sealing their grout. Since grout is a porous material, any dirt or mud will permeate and cause discoloration. 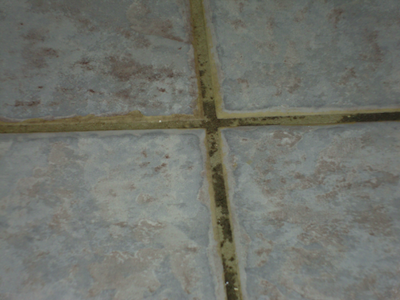 Unsealed grout can even be discolored by attempts to remove dirt, mud, mold or mildew. At Best Way Carpet and Tile Cleaning, we recommend that each and every homeowner have their grout cleaned and sealed. Once your grout is sealed properly, the best way to remove dirt and mud is to use a general purpose cleaner. You’ll want to mix water with a general purpose cleaner, which will loosen the dirt and mud from your grout. After the dirt and mud is loose, you’ll want to use a vacuum to pull the dirt away from your grout. If dirt and mud remains after you vacuum, you’ll want to use a course brush to further loosen any particles that remain. You’ll need a stiff brush, or one designed specifically to remove dirt from grout. Those in need of a deeper clean will be thrilled with the services offered at Best Way Tile and Carpet Cleaning. Homeowners in need of a deep clean to remove the worst stains from mud and dirt can take advantage of our reliable tile and grout cleaning in NJ. We are proud to employ professional, reliable and trained technicians who can provide a fantastic clean with state-of-the-art tile cleaning equipment. At Best Way Carpet and Tile Cleaning, we are proud to be able to offer our customers the services they need to keep their floors in fantastic condition throughout the seasons. Whether you’re in need of carpet cleaning, upholstery cleaning or tile and grout cleaning in NJ, the team at Best Way Carpet and Tile Cleaning can help. To learn more about our services, we invite you to give us a call at 732-391-6500. This entry was posted on Monday, September 30th, 2013 at 2:15 pm and is filed under Tile & Grout Cleaning.